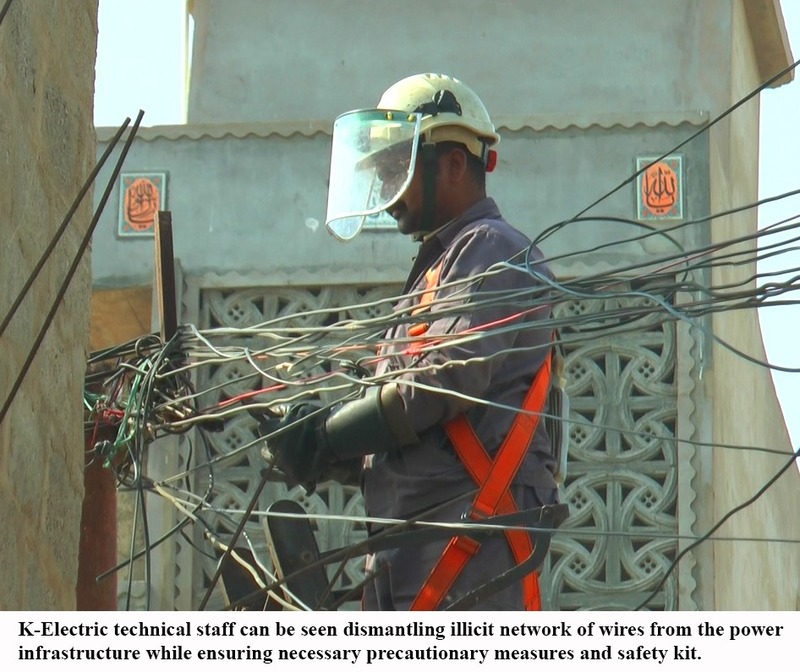 Karachi: 9th February, 2019 – K-Electric’s massive, non-discriminatory crackdown against defaulters and power thieves will commence after the deadline, and strict action will be taken against violators that may lead to imprisonment up to 7 years, penalties of up to 6 million rupees along with disconnection of power-supply. During the course of this campaign, over 24,000 new connections have been installed on a fast-tracked basis across the metropolis, in areas including Orangi, Lyari, North Karachi, Korangi, Landhi and Gadap. At the same time the power utility has stepped up its kunda-removal drives and more than 47,000 illegal connections weighing over 38,000 kilograms have been dismantled from illegal underground and overhead networks, including from high-loss PMTs in kunda-infested Goths namely; Abdullah Rahoo Goth, Usmani Town and Sher Muhammad Palari, Jhatpat Market Lyari, and Itifaque Colony Khokrapar. Per KE Spokesperson, “9th February 2019 is the last day for clearing outstanding electricity dues and the power utility strongly urges its customers to avail this last opportunity to avoid legal action. K-Electric has already finalised lists of chronic defaulters for decisive action. These efforts will gain momentum as we continue the crackdown full-throttle with KE field teams also escalating the raids against kundas and power theft”.